A conversation I regularly have with parents is one around how we transfer positive money skills to our children. We’ve all seen young adults who have been pampered by their parents and as young adults they act irresponsible when it comes to money skills. I suspect you don’t want this to happen to your children. 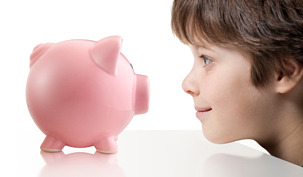 Instead, wouldn’t it be better that as your children grow they learn about and integrate responsible money skills? You might even find that when your children reach being young adults the skills they’ve learned make them financially responsible. I’ve found there are two strategies you can use that will help you provide solid money skills to your children. You can use either of these skills by themselves or better yet, combine the two for a more powerful result. Evaluating what the mission is of the non-profit. Whether the non-profit uses their money responsibly. Having a chance to experience through volunteerism how life is harder for others. What makes the non-profit one you want to participate in and spend your time and money on. Having your children help you in your philanthropic decisions will make them more astute decision makers. They learn to think about others in our society in a different way. Looking at a particular financial choice in a variety of ways will serve them well in later years. Have your children write all of your household checks. I recently learned about this strategy from a friend who started this activity with their child when he was ten years old. By the time he became a young adult he not only knew what it costs for different things in his home, he had an idea how to budget for family expenses. He even learned to turn off lights and live with heat a little bit lower. When he became a young adult, he had already been practicing money skills for years that would help him through his entire life. He didn’t have to figure out what a budget was or that there isn’t unlimited money. He had grown up knowing this. What are your thoughts about money skills for your children? Do you think it’s a good idea to take some early actions that can help along the way? We have a resource center with a variety of personal planning tools. To find out more about reports and workbooks you can download, click on the button below.